The vast, strange, sometimes contradictory world of the urban desert and its people are explored in 11 public art exhibits and their respective locations scattered throughout Coachella Valley. 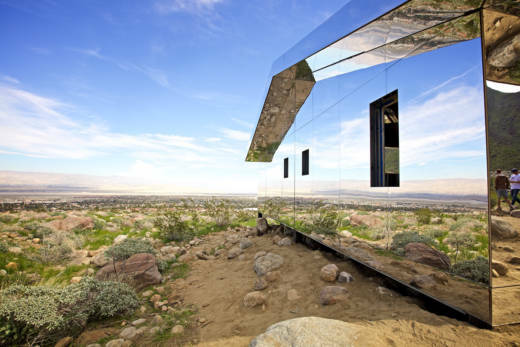 Art includes Will Boone’s “Monument,” an underground bunker off Ramon Road in Rancho Mirage and Phillip K. Smith III’s “Circle of Land and Sky” in Palm Desert. Desert X is a site-specific biennial exhibition that first took place in the spring of 2017 where artists from different parts of the world were invited to create work in response to the unique conditions of the Coachella Valley.